Our solutions for Cisco improves the efficiency of your call center for your customers, agents and business as a whole. Get started today by finding out how your organization can benefit from CTI! 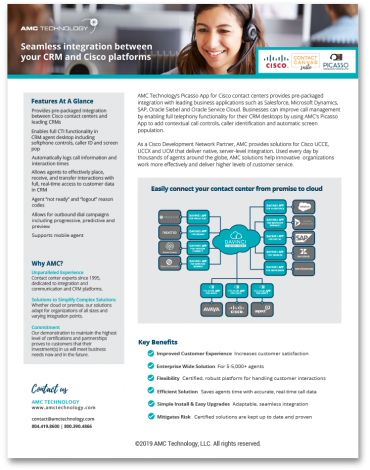 Fill out the short form to get this datasheet on our solutions for Cisco.